Actress Margot Robbie has been named the new face of Nissan electric cars. 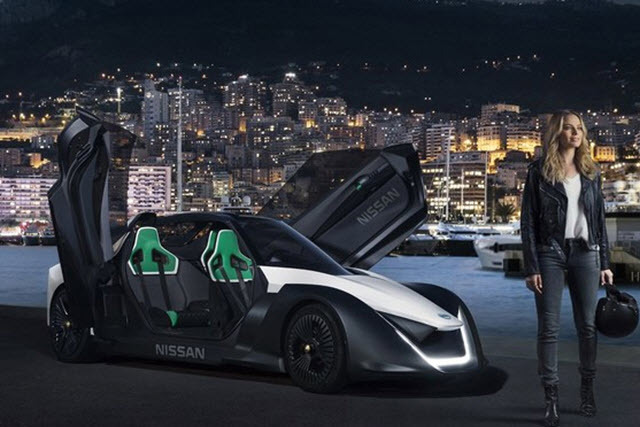 The star of Suicide Squad and The Wolf of Wall Street takes the Nissan BladerGlider electric sports car for a drive around Monaco in a new short film. The BladeGlider is a unique vehicle create by Nissan to showcase an all-electric sports car of the future. The vehicle is part of Nissan's Intelligent Mobility vision. Margot drove the car around Casino Square. Margot says in a statement, "It's a really exciting time for electric vehicles. More people are choosing to go electric, leading the way to a more sustainable future and the Nissan BladeGlider hints at the future of smarter performance cars."